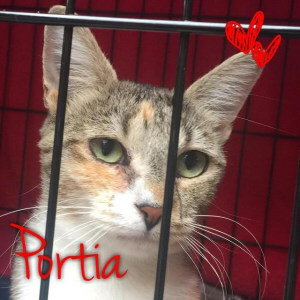 Portia and friends are currently working cats at the Cat Lounge at Neko HQ where they entertains guests with their purrticular charm. All Cats in the Cat Lounge are available for adoption, there are no permanent residents, so every time you visit you will be meeting different cats. All funds raised at Neko HQ are to benefit Maneki Neko Cat Rescue. or give us a call on 9478 1919 during opening hours. IF YOU WANT TO MEET ME - please book into the Cat Lounge during opening hours (Thursday to Sunday) and I will be purrleased to meet you! Opening hours are Thursday & Friday 11am to 5pm, Saturday 10am to 5pm and Sunday 11am to 4pm. Elm is ever so sweet. He loves to play, cuddle and has a great purr! Daisy is a sweetheart! 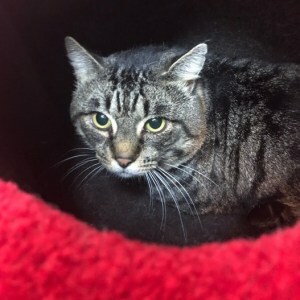 She is 7 years old but seems younger as she is she is petite, friendly and curious! Daisy is trusting and loving, and is a gorgeous lap cat! She loves to follow you around and be involved in whatever you are doing. She would be fine to live with other cats as she is currently living with another foster cat and they get along great. 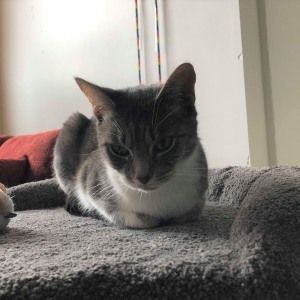 Daisy is a lovely cat and can't wait to find a loving home! Gorgeous Gracie is as sweet as she is pretty! She has a lovely nature, is friendly and loves human company. Gracie cannot wait to meet her new family and will reward you with a lifetime of love and purring! IF YOU WANT TO MEET ME – please come to Paw Prints - Diamond Creek during trading hours (or ring) and I will be so purrleased to meet you! Could you offer Grubby a loving forever home to call his own? Carrying his bindle over his shoulder, Worrying for when the nights get colder. Many years of wondering the streets, Searching for delicious treats. Wounded and weak. Enduring sickness. Waking to his new foster mum, finally having food in his tum. Learning new manners that he never knew. You must be patient and let him trust you. He enjoys the outdoors during the day. Guarding the house while your away. Grubby would finally love a place of his own, so he doesn't have to roam. Ed is a very energetic and playful fella who doesn't shy away from attention at all! Ed would not mind being the centre of attention and demanding pats from you. Ed gets happy feet when it's playtime and will play till both of you are tired. He has a curious personality and to compliment that - big curious eyes. He is a fluffy playball who has the cutest pink nose. As any superstar would do, he likes to keep himself shining by grooming himself frequently. 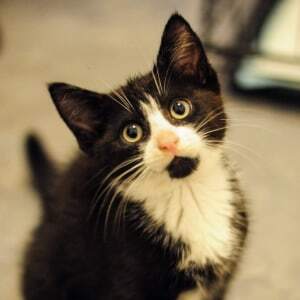 Ed would fit into a home where he can roam around and fulfil his sense of adventure and play time. He would do well with a furry brother or sister to play with. If you think this handsome fella is the one for you - come and meet him! Ed and friends are currently working cats at the Cat Lounge at Neko HQ where they entertain guests with their purrticular charm. 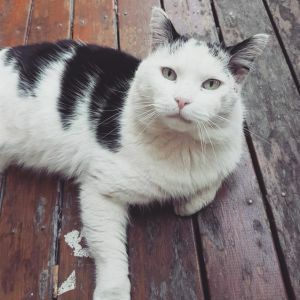 All Cats in the Cat Lounge are available for adoption, there are no permanent residents, so every time you visit you will be meeting different cats. $199 Adoption Fee! *No further discounts apply. 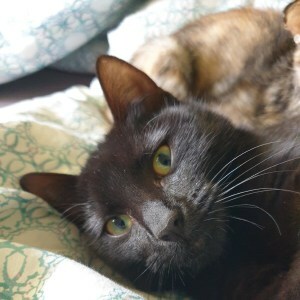 Blyss is a very placid and friendly black kitten with a wonderful purr when patted! 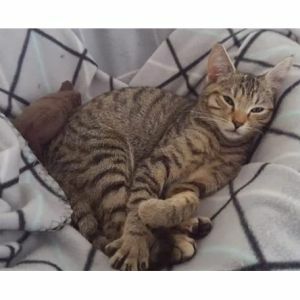 She has an inquisitive playful nature and enjoys playing with other cats. She enjoys playing with ping pong balls and fishing toys, or having a quiet nap on a chair. She has lived indoors only with two well behaved dogs, several adult cats and another kitten. Once she's tired herself out, she likes to snuggle on your chest, and to lay on your bed with you! Come and meet me! I am a vibrant little lady who loves to play and snuggle with you at the end of the day when it’s time for bed. I have got the biggest purr you will ever hear! 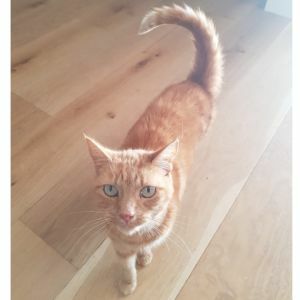 I get on well with other cats and would love to have a friend to play with if you already have a furrever friend in your house (or you could also apply to meet my foster brother Boo at the same time you meet me. I loveeeee him). I am fiesty and fun, and will keep you on your toes as you try to keep up with me. I am probably best suited to a home with adults or teenage children. I will need to have a home where you are happy to take care that I eat a diet that includes no dried kibble. I have three to four small meals throughout the day, and this will need to happen even when I am a grown up! I am currently doing really well eating a delicious raw diet and high quality wet kitten food. My foster slave is happy to discuss any matters relating to my diet with you. I also like to live indoors, or if you have a cat run or enclosed courtyard etc where I will be safe from dogs, other cats and cars, that would be great! I can run very fast when I am outside. 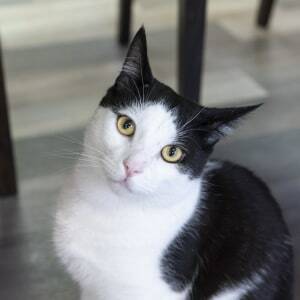 Marcus and friends are currently working cats at the Cat Lounge at Neko HQ where they entertains guests with their purrticular charm. All Cats in the Cat Lounge are available for adoption, there are no permanent residents, so every time you visit you will be meeting different cats. Geena is a quiet girl who prefers one-on-one time with her humans to receive lots of love. She is only young so is curious and playful. Geena and friends are currently working cats at the Cat Lounge at Neko HQ where they entertains guests with their purrticular charm. 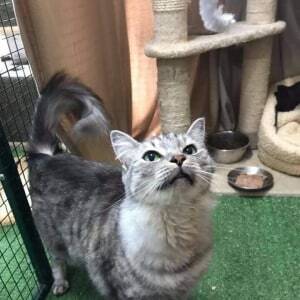 All Cats in the Cat Lounge are available for adoption, there are no permanent residents, so every time you visit you will be meeting different cats.